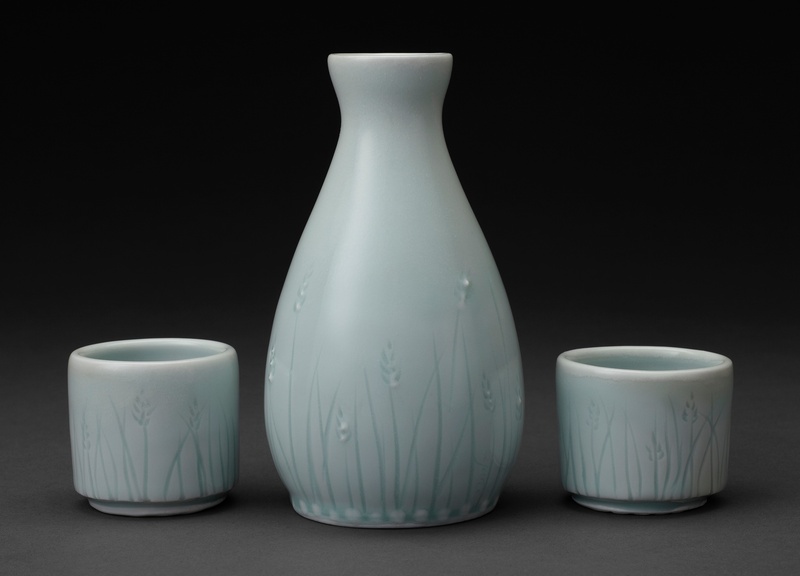 Kris Marubayashi is a sansei (third generation Japanese American) ceramic artist based in Sacramento, CA. She creates pieces that are highly textural, resembling rocks, geological formations, and metal. KOBO patrons may be most familiar with her Caldera collection (below), inspired by volcanic cauldrons. Wednesday, July 1, FROM 3 – 6PM at KOBO Gallery (at Higo), meet Kris and see selected new works from workshops in Wisconsin and Curaumilla, Chile. 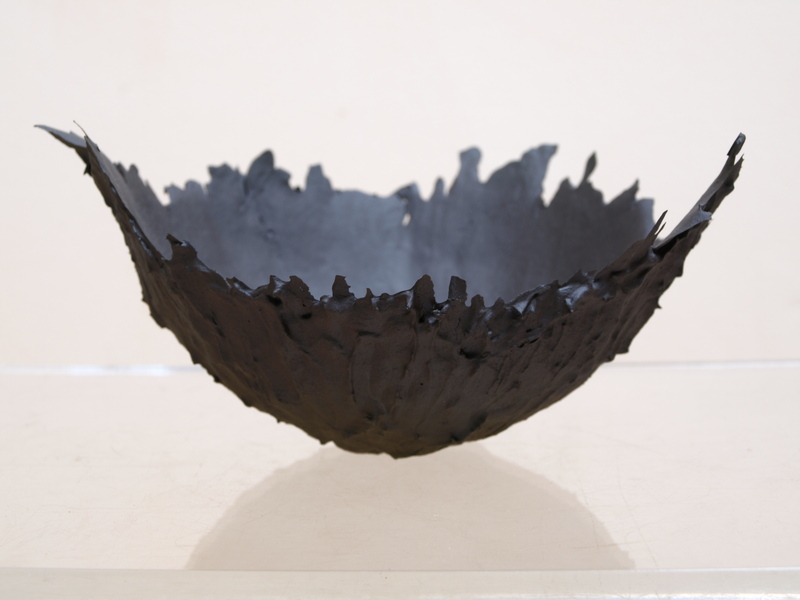 She will also bring some of her paper clay bowls, a recent experiment in mixing cement with paper clay to to create pieces that are strong, light, and unrestrained in size. 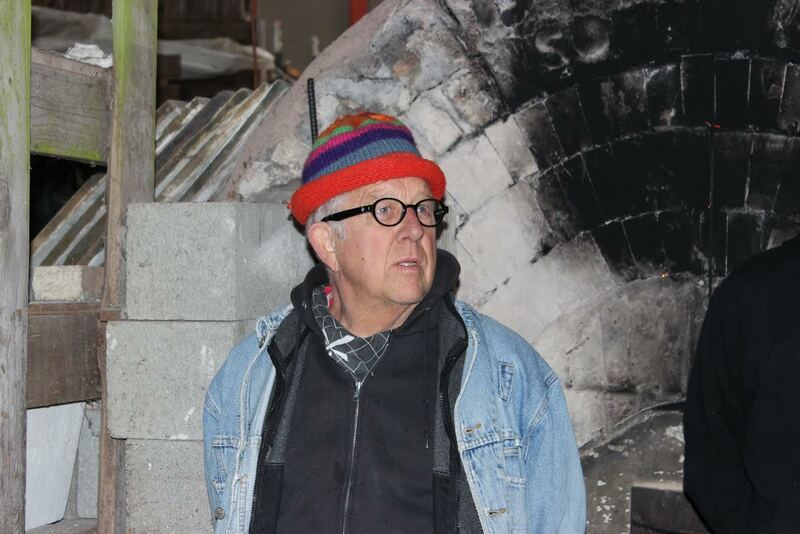 Stephen Mickey is a clay artist who plays with fire and describes himself as one of the “crap shooters of ceramics” (read on to find out why). 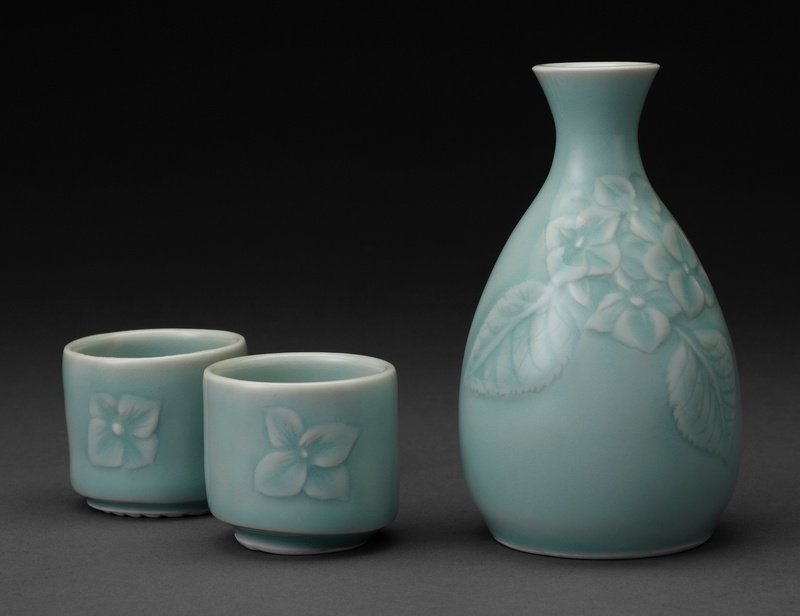 For ten years he was the lead instructor of ceramics at Mt. 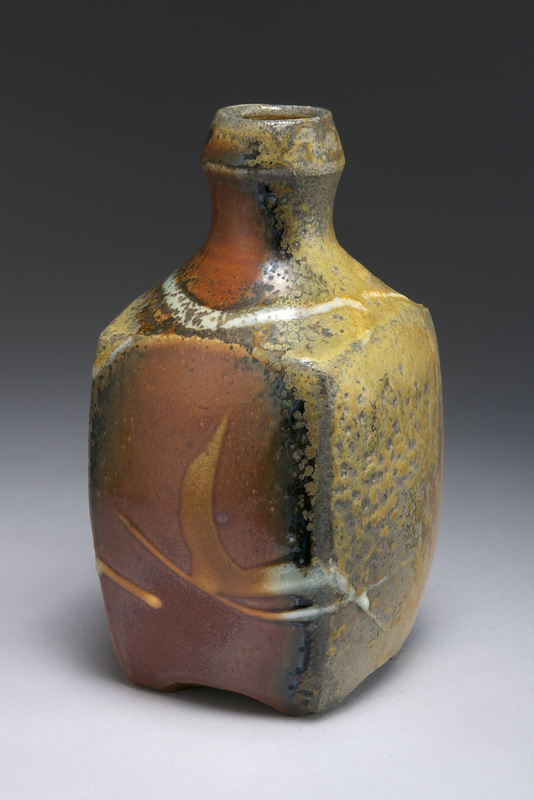 Hood Community College, then transitioned to be a full time studio potter in Brush Prairie, WA in 2012. We are pleased to show his and Yuki Nyhan’s work at KOBO Gallery (at Higo). Briefly, how would you describe yourself and your work? I’m a dad and grandpa, a husband, a studio potter, a gardener, and I love to walk and do yoga. The pots I make are intended to be for daily use. I have been attracted to wood fired pots since my introduction to clay. Working with porcelain and fruit wood as fuel, my Soulgama kiln has given me a vocabulary of expression that is truly satisfying. Although the forms appear simple, the 100 hour firings and the fly ash sweeping through the kiln like a river of flame create a complex, one-of-a-kind surface that I find very appealing. Your passion for ceramics came as a surprise. What’s your back story? I was a pre-med student at the University of Minnesota and took an art class as an elective. I thought, “How hard can making pots be? I’ll try it.” Bam! First class, we went out to an old clay pit, built pots, dug kilns into the clay banks, then fired our first attempts with wood. Wow, pretty cool! 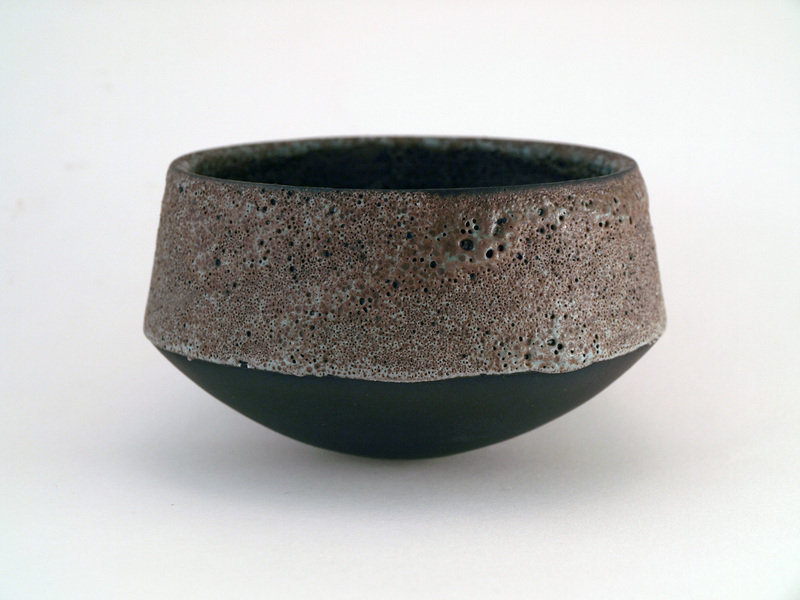 The next week I saw my instructor David Stannard make a bowl and I said to myself “That’s it. That’s how I want to spend my life,” and I never looked back. It was like a religious experience. 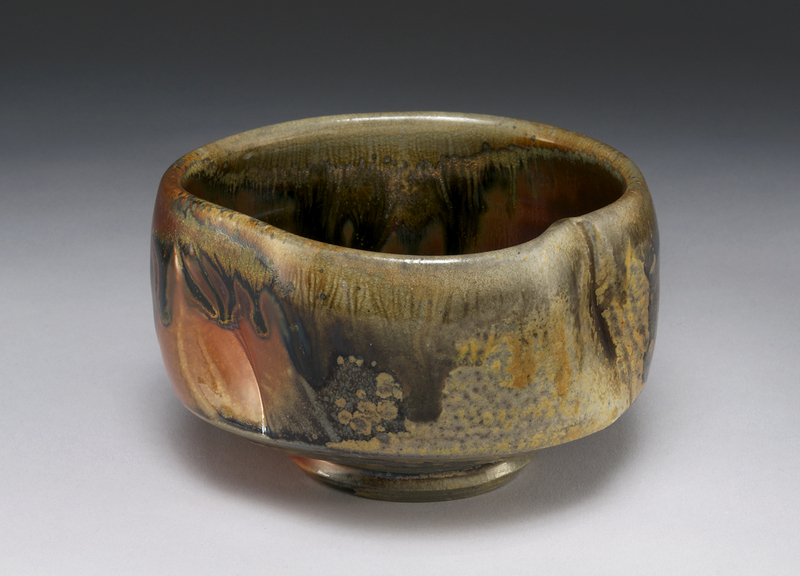 You are known for pottery made in your anagama wood-fired kiln. Tell us what is distinct about this process and how it affects your work. As a potter that uses wood as a fuel I must accept the fact that each firing is unique and that the possibity of repeating results is difficult at best. 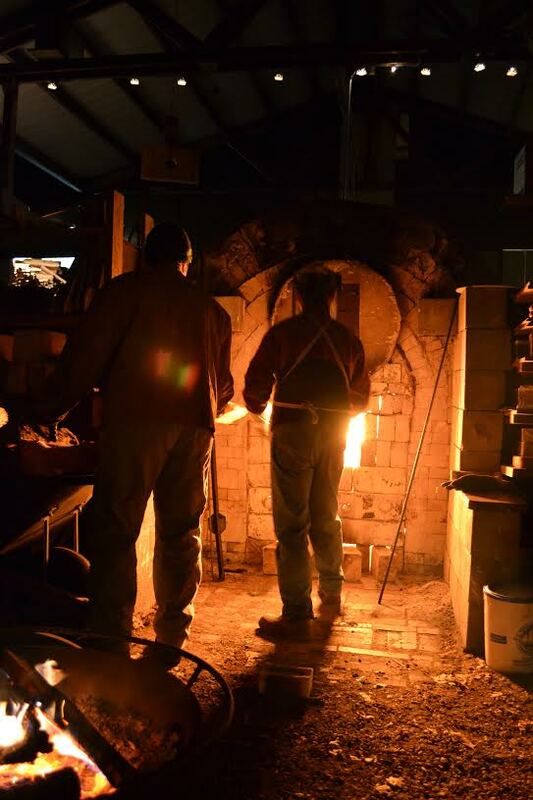 I often refer to us [artists who use wood instead of electricity, gas or propane to power their kilns] as the “crap shooters of ceramics” – I mean why would we try so hard to do the impossible. We love the gamble and the serendipity of the event. Prolonged high temperatures [over 2300 degrees Fahrenheit!] help melt the fruit wood ash that accumulates in the kiln and create startling flashing effects [color changes]. There is a front side (facing the firebox) and a lee side (side away from the fire box) where the piece is kissed by the flame. How do you and Yuki Nyhan know each other? 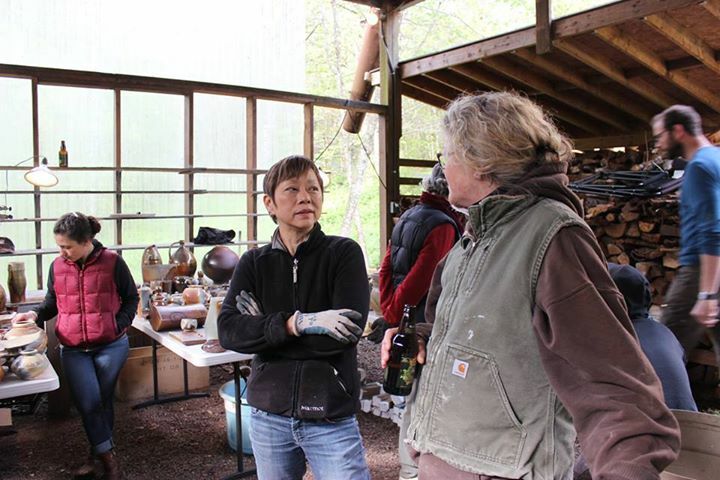 Yuki (above) and I became friends many years ago when I was leading the ceramics program at the Evanston Art Center. 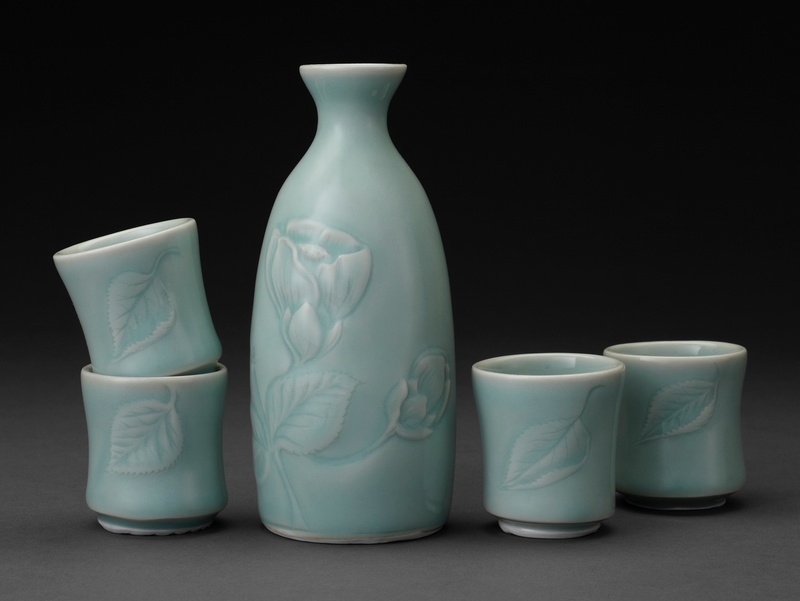 She was a super talented potter and found her way into her current work. We maintained our friendship when I moved to the west with my wife Golda and we love to have her come out and wood fire with us as well. She is a special person and a kind and gentle soul. If you could only use 3 words to describe your work, what would they be? Yuki Nyhan was born in Tokyo, Japan and lived in Saitama Prefecture until her family moved to the United States in 1968. 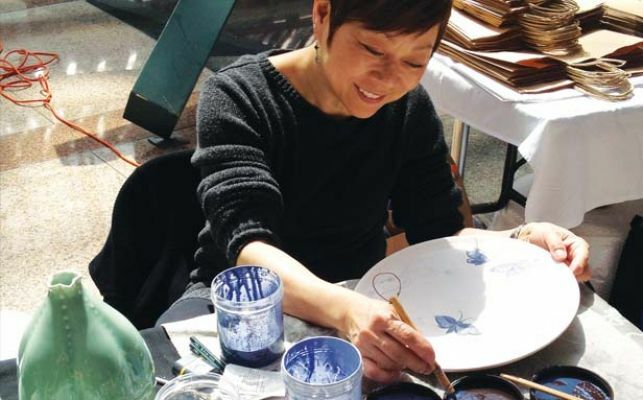 Growing up in a Japanese household, she developed an appreciation for pottery, which led her to her first ceramics class at the Art Institute of Chicago when she was 13. We are pleased to show her work alongside Stephen Mickey’s at KOBO Gallery (at Higo). My work is very quiet. I don’t necessarily think of myself as a quiet person, but I like stillness when I work. I want people to take the time and pick it up to view and feel it. From this, I hope the view can feel some of what I feel in the making. 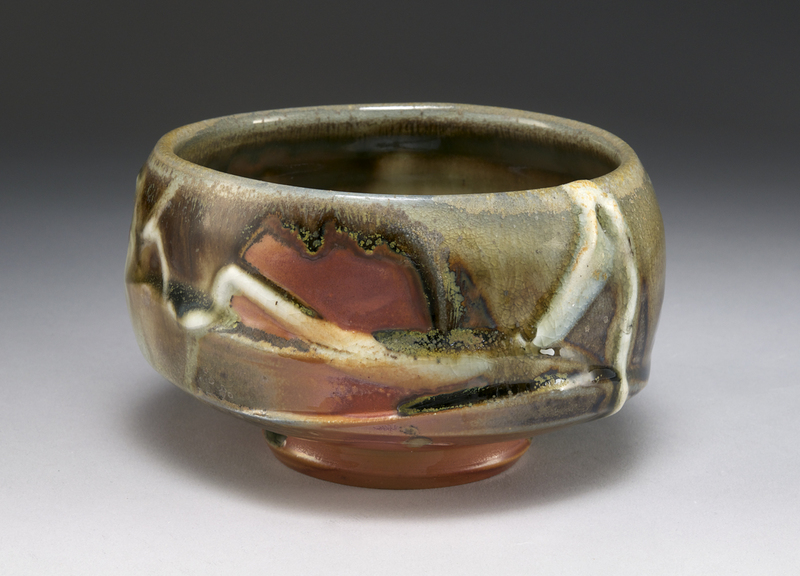 How did you become a studio potter? I grew up in a house where everyone made visual art or crafts in one form or another. It was a part of our lives. 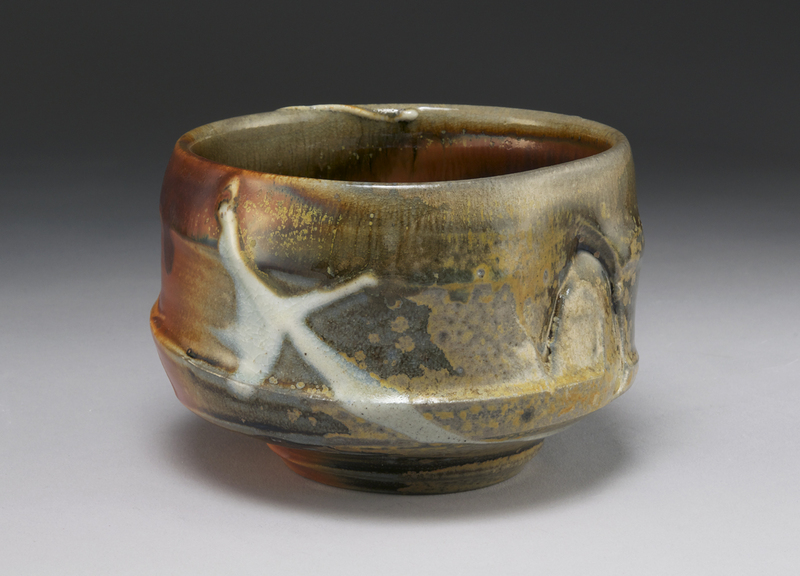 Being Japanese, I appreciated the personal nature of pottery and wanted to make it myself. The first chance I had to take art classes outside of school, I took ceramics. My siblings opted for 2D work. It seems clay was always in my soul. Stephen [Mickey], my teacher decades ago at the Evanston Art Center in Illinois, was very good at pushing the fledglings out of the classroom nest and urging them to start their own studios. I was one of those who learned to fly from him, and trial and error. You work mostly in porcelain. 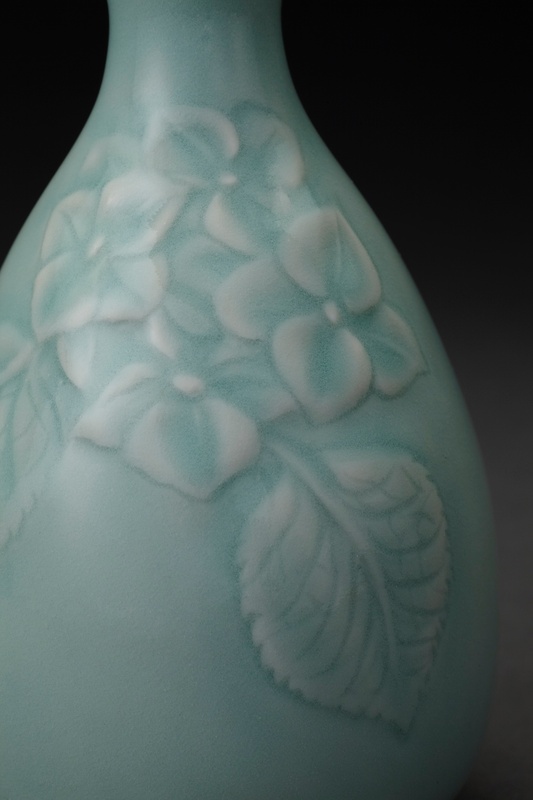 What is distinctive about this material? What do you enjoy about using it? I love the smoothness and delicate fluidity of the material. Yet, it is very strong and durable. 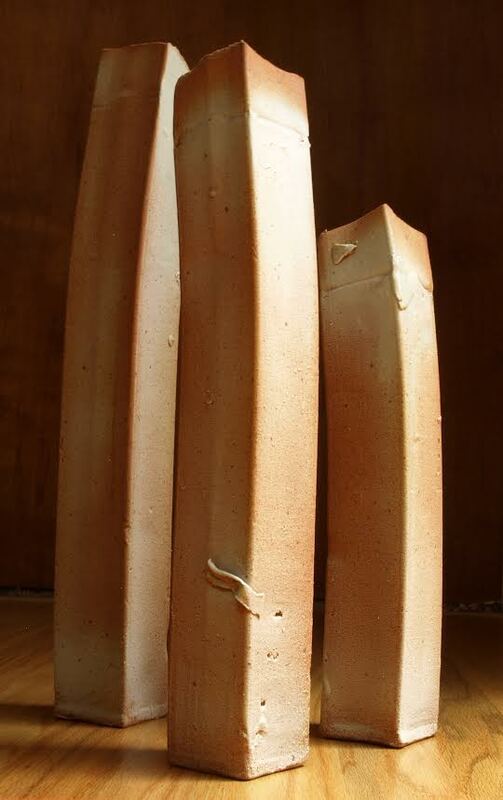 These qualities are important because I carve and alter the forms, reflecting the undulating forms from nature. What brings you the most joy in your work? When I am making something and I feel like the clay and my hands are working in concert, it is the most peaceful feeling. It’s meditative and very in the moment.